Can You Have Your Child's Birthday Party at Home Depot for Free? You are here: Home / Parenting / Looking For An Epic Place For Your Kid’s Birthday Party? How About Home Depot! Looking For An Epic Place For Your Kid’s Birthday Party? How About Home Depot! I could tell you a million great things about them, but let’s be honest; since most of you reading this are parents, and parents are always looking for good (or free) deals, let me share a few important lessons I’ve learned from Charlie’s parents. 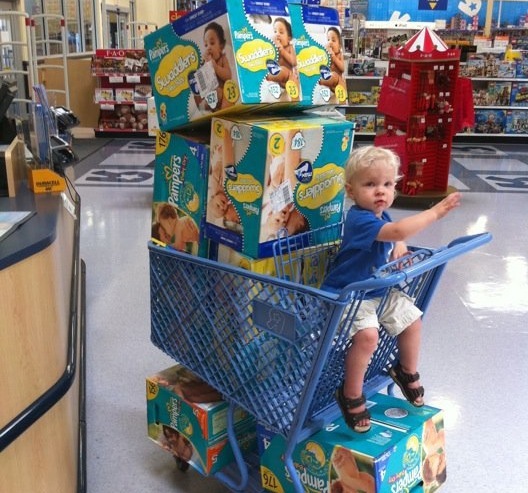 Look at all of those diapers! Why not have your next birthday at Home Depot! You Can Have Your Child’s Birthday Party at Home Depot…for Free! It turns out Home Depot does Kids Workshops in their stores on Saturday mornings and parents can bring in their kids and do fun projects together. Which is another thing I learned from Charlie’s dad. I had no idea Home Depot (and Lowes) did this. And basically all they did was ask the store manager if they could invite 20 or so other families to come to a kids workshop with them….on their son’s birthday. And of course they said yes. In fact Home Depot knocked it out of the park for them. They sectioned off a little area for them, gave them tons of supplies, fun aprons, and made it a great time for all the children and their families. It was one of the best kids birthday parties I’ve ever been to. I’m hope I don’t upset Home Depot my talking about all of this, since hosting children’s birthday parties probably isn’t a business they want to get into. Oh and a little disclaimer for any of you attempting to try this out at your local Home depot; your results may vary. Charlie’s dad even makes awesome tool birthday cakes! Since Noah’s first birthday is coming up soon I was making mental notes of what all goes into throwing a little kid’s birthday party. And I’ve got to say Charlie’s parents did a great job! I especially liked the super cute construction hat, and the tool box full of goodies all the children received. 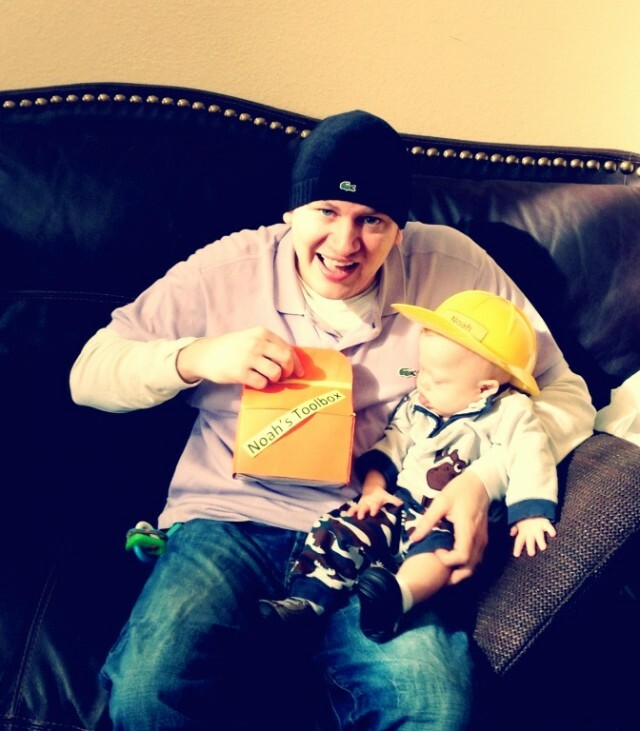 One of the treats in the box were some baby cookies just for Noah, which he munched on when he got home. 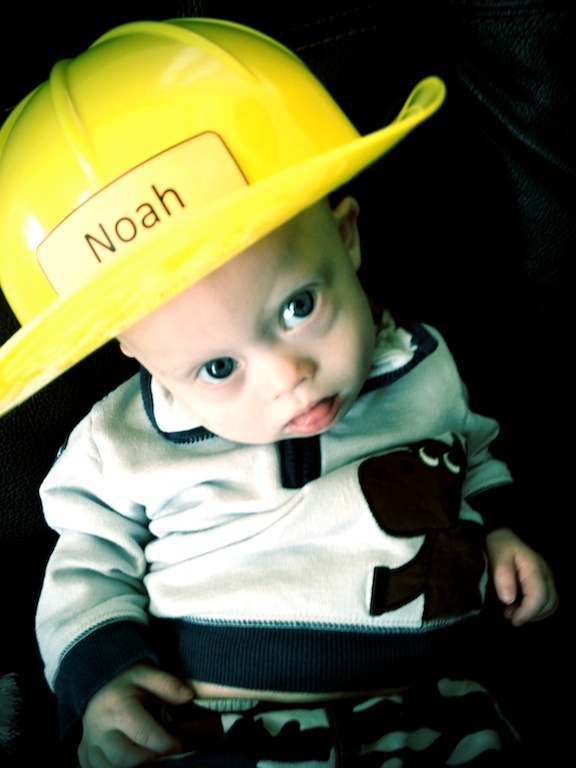 In fact, they were actually Noah’s very first cookie! I love this little builder. My wife had to work at night, so Noah and I got to have some fun at home together. I usually pick out the book we’re going to read for his bedtime story, but tonight he wanted to take full advantage of his newly acquired skill of inch-worming, and pick his own book out. It was fun (and super cute) watching him roll around (and try to crawl around) the floor playing with different books. I have a few questions for you: 1. Did you know about all of this awesome fun kid stuff Home Depot had going on? Have you ever been? 2. What’s the most random / unique / strange place you’ve ever had (or been to) a birthday party? Leave a comment below and tell us about it. That is FAR from the truth, but thanks! We have been to a few of the Lowe’s kid workshops (Home Depot is an hour away). Home Depot gained my “props” when my son was little (now 10) Habitat for Humanity opened a demonstration village in Americus, GA (where they were fonded) and Home Depot had a lot of projects for kids on the weekend of the grand opening-even though the nearest store was (you guessed it) an hour away. 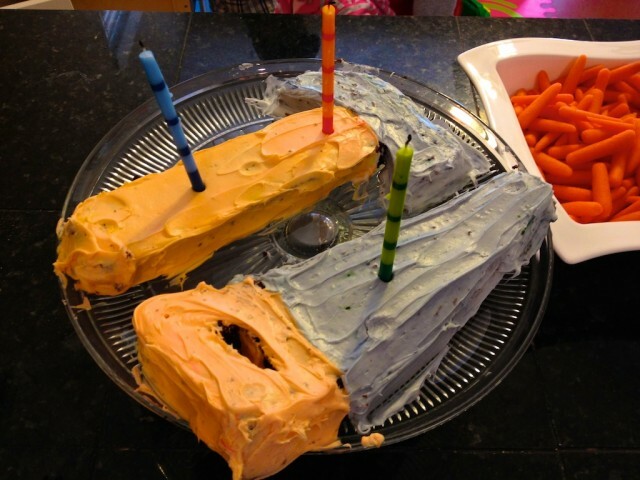 Cute party idea. Didn’t know about the home depot kid projects…but we will be taking advantage of that for sure!! The most amazing party we had was my daughter when she turned 15. This was a few months after our baby girl Braylee (with DS) had her open heart surgery. Allysha, our 15 year old asked everyone to donate to the down syndrome association in Braylees name rather then bringing presents. She had over $100 donated….and still had friends bring her a few presents. It’s amazing watching the whole family change all because of our beauty!!! Wow! That is awesome! You must be so proud. 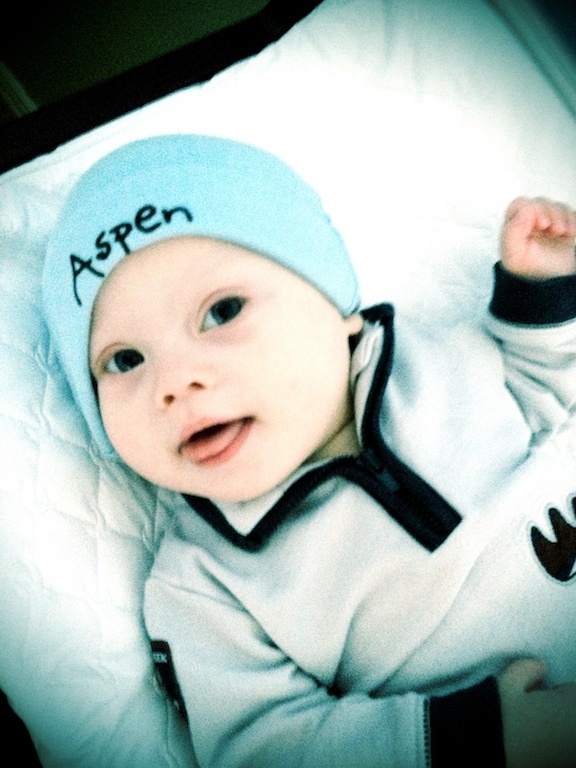 Have you posted a picture of your family on our facebook page? (http://facebook.com/noahsdadcom/) We all enjoy pictures. Where are you guys from? Thanks for the kind words…and I like to go roller skating also. I’m talking the real deal, 4 wheels, skates! Not these in-line things. 🙂 I want the real deal. I can’t wait to take Noah skating. As far as the summer goes, I’m going to be doing some writing / research for a project I’m working on…and spending some time relaxing. How about yourself? Hello Noah’s Dad, Rick! Wow! What timing! I had forgotten that you guys are still “catching up” on videos and blogs and I’ll tell you what, it is such a treat! You see, in exactly 1 month Enzo will be 1 year old! Yes, and we just started thinking about what to do for his birthday! We have moved so we don’t think it is going to be a big affair, but small and intimate. Obviously it’s more for us and the celebration of Enzo’s life. Of course there will be tons of pictures to be taken. IT will be fun. However, I don’t doubt that by the time Enzo turns 3, we will remember the Home Depot party! I hope they do that here. I’ll have to find out….but not right now. I can’t tell you how much fun it is to think that just a year ago our little man was still in my tummy, kicking and turning all over the place and then soon he was going to come out and show me all of God’s love! Seriously, even writing this, I get choked up. God is so good and we are so blessed! Okay….standyby, I have to get a kleenex! Okay, phew! I am sure you know what I am going through. I look forward to “catching up” on your video blogs as well. Our place is almost clear of the “just moved in” look and that will make it easier for us to sit and enjoy Noah’s great milestones! Take care. Hugs to Abbie and Noah! As for random places for bday parties, a friend threw her son’s 4th bday party in a showroom for those amazing play structures that sell for huge amounts of money. It was brilliant for a February party because it was indoors, but there was TONS of space for the kids to run around and play like mad. The kids had a great time, and I’m still a fan of bday parties that wear kids out so they go home nice and tired having gotten lots of great exercise. 🙂 Apparently this place had a party program so it wasn’t the first time they’d done this kind of thing, but it was not at all well known and I was so impressed that my friend discovered it! Wow! That is awesome! I actually just posted a picture of one of those places with amazing play structures in the post after this one. That’s awesome. Did they look like the one in the picture I posted? It sounds like it must have been a vey fun birthday. that looks like it is a super fun party! 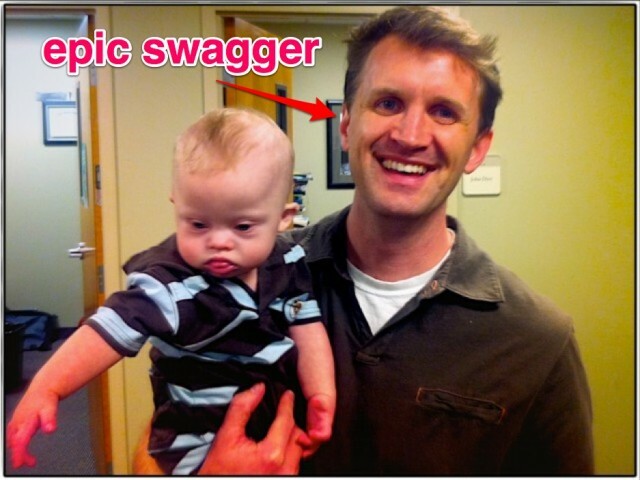 i will add this one to my birthday party toolbox 😉 We are adopting a little guy with down syndrome and it is always nice to connect with other parents!!! Your little guy is adorable! That is fantastic! Where are you guys adopting from? And who are you going through? I can’t wait to hear all about it. How far along in the process are you guys? I follow u on facebook and look at ur pic all day if i could becasue he is so cute. ONE QUESTION!!! Are u thinking about having anymore kids?!?! Does your cousin have any other children?